Synopsis: Three, two, one ...liftoff! 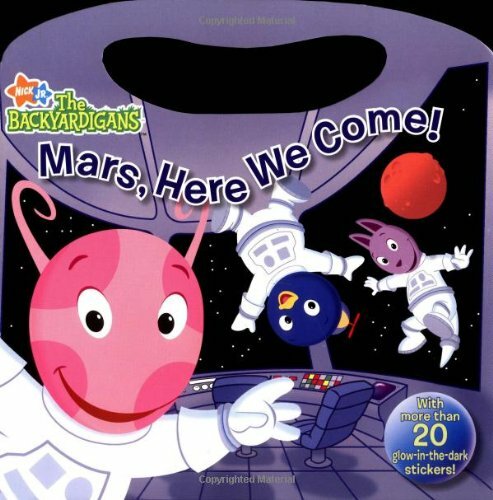 The Backyardigans are off on an adventure to Mars. They travel through a meteor shower, find a secret cave and an underground lake, and make friends with a little Martian. All this, and they still make it home for snack time! This book has a sturdy board handle and more than 20 reusable glow-in-the-dark stickers that readers can use to decorate the scenes.